FAQ – You have questions? I have the answers! If you do not see the FAQ you are looking for; please contact me! I will get you one! A: Needle, Ink and Thread, open every Tuesday 11 am – 6 pm to accept custom order projects and alterations with an appointment that has been preset. Open Studio time for $5/hr to rent the machines and $10/hr to get help while you are there, however not a private lesson. I will be open every Tuesday unless noted on the website calendar. I will mostly be by appointment only for classes, workshops, private lessons, birthday parties, baby showers, etc. Please check my Facebook page for updates for holiday hours. Q: How can I get in touch with the shop? A: Right now, please email jesy (at) needleinkandthread.com or use the contact me page. 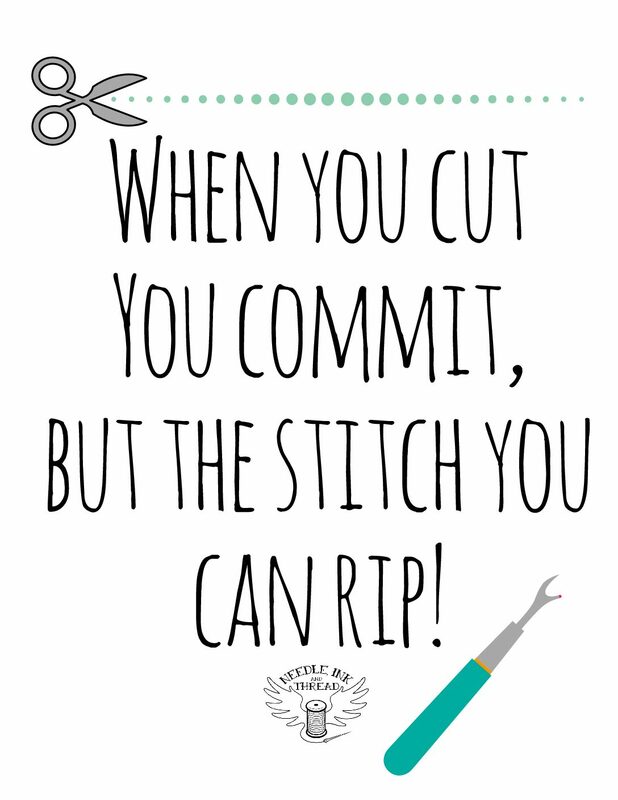 Q: Do you sew for people? A. Please email jesy (at) needleinkandthread.com or contact me, I do on a very limited base. To be upfront, I charge $35/hr on all projects, you supply everything that is needed to create your project. We will agree to a timeline which will need to be flexible as I do custom commissions on my off time from the studio. All that is included in the time for payment is, any shopping needed with a 50% charge if I have to buy for you. All pattern cutting, sizing (if needed), alterations, sewing, cutting, ironing, pressing, finishing, washing and drying (if the fabric isn’t pre-washed prior to drop off). Any communication time or fittings, or meeting ups. This is not negotiable. However, if you would like to learn to make what you would pay me to make, book a private lesson! I can teach you!! Q: Do you offer a military, culture works, student, multi-sibling discount? A. Please email jesy (at) needleinkandthread.com or contact me, I do offer discounts for these groups, after verification for military and student. For Culture Works, you must have your passport present to receive discount. For Culture Works, you must have your passport present to receive discount. Please contact me with questions. Q: Do I need to bring my machine for private or group sewing lessons? A: Yes! I would love for you to learn on the machine that you will be using at home, this will build confidence, and not all devices are the same. However, if you do not have a sewing machine or if you don’t want to drag yours to the studio, don’t worry I’ve got you covered! Q: What if my machine is OLD, like 20 years or more can I still bring it to the group lesson? A: Yes if you are familiar and feel confident on your machine. But, If you want to take it to the Get to Know Your Machine, then please sign up for a private lesson. I want everyone to get as much out of the class as possible. With most vintage machines, they can be tricky and temperamental. I don’t want to hold up the course, and I hope you can understand. A: There will be a list of supplies on the group classes, plus bring your sewing kit. For the private lessons, you will also need all the supplies for your project and sewing kit. I will have thread and needles available for purchase if you need them and some fabrics. If you are making a pattern and do not know what you need, please contact me the shop before your class, I can help you put together a supply list or email me a link to the pattern or project you would like to complete. A: Parking is all around the building, for quick access park on the left side of the building. Q: What is the minimum age to start sewing? A: I will take students as young as seven years of age (for a machine class, hand stitching and embroidery 5 and up). However, for the first level, a parent/grandparent/guardian or babysitter take the course with them; will let me gauge if they are ready mentally for a private class. Q: What if I am late for a group lesson? Will you wait for me? A: I am sorry but I can not. I ask everyone to come at least five minutes early for class, to set up their machines and station. All classes will start promptly at the scheduled time. Q: What if I am running late for my private lesson, I will still get my full scheduled time right? A: If you are late to your private lesson, the lesson will still end at the scheduled time. I may have classes all day long, and I am on a tight schedule. I will do my best to get as much as can be done in the time that we have. You may need to schedule another lesson to finish your project. Q: Are there any prerequisites classes for the group lessons? A: Sewing 101; The Basics ~ Please complete this class or you must have prior knowledge of sewing. The seamster will need to be confident with their machine, which includes the knowledge of how to thread the machine, fill a bobbin, seam allowance, switching your sewing feet. The group lessons will state what the prerequisites are for each class. Q: I signed up for a class, however now I can not make it. Do you refund or credit my class fee? A: Please check out the class policies. For the short version, no, if you do not contact the studio within 72 hours of the class (3 days before), I can not refund, credit or reschedule your class. I am a single person business, each class scheduled makes sure I can pay for the studio, utilities, website.. etc. IF I can get someone to take the time that you are not able to attend, I will give you a chance to reschedule, but ONLY if I can get someone to take your previously scheduled time. Q: Do you have parties? Birthday, Baby Shower, Girls Night Out, Girl Scouts, Cub Scouts, Team Building, Etc? A: Sure do!! Call or Email for more details; parties can be customized to suit your needs! I can add you to the newsletter if that works for you?